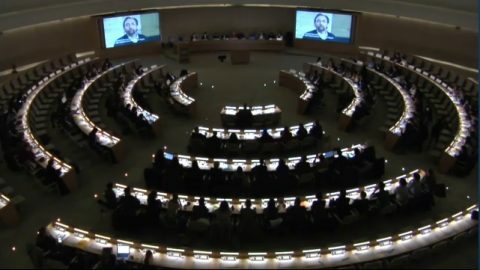 On 23 November 2016, civil society from all over the world, including indigenous and minority groups, met with the UN Committee on the Elimination of Racial Discrimination (CERD). Civil society representatives from every region of the world shared their experiences and ideas in order to improve the work of the CERD to achieve the goal of the International Convention on the Elimination of All Forms of Racial Discrimination. Visit the CERD webpage for the programme and further information of the event. As one of the panelists, the Under-Secretary General of IMADR, Taisuke Komatsu, stressed the high expectation for the CERD from civil society, especially indigenous and minority groups. He shared other NGOs’ experiences in the engagement with the Committee for the consideration of the State party’s report and identified difficulties in accessing the experts body. He encouraged the Committee to strengthen the follow-up procedure by building on other treaty bodies’ measures which were complied in the joint submission with Minority Rights Group International and Race and Equality. 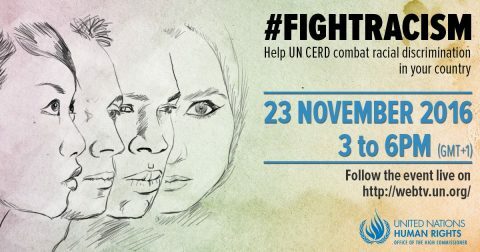 The discussion was streamed via the internet and civil society participated through twitter with hashtag #fightracism. The Committee welcomed the inputs from civil society, and it pledged to take them into serious consideration to strengthen the partnership with civil society. Video archive and summary of the discussion is available.